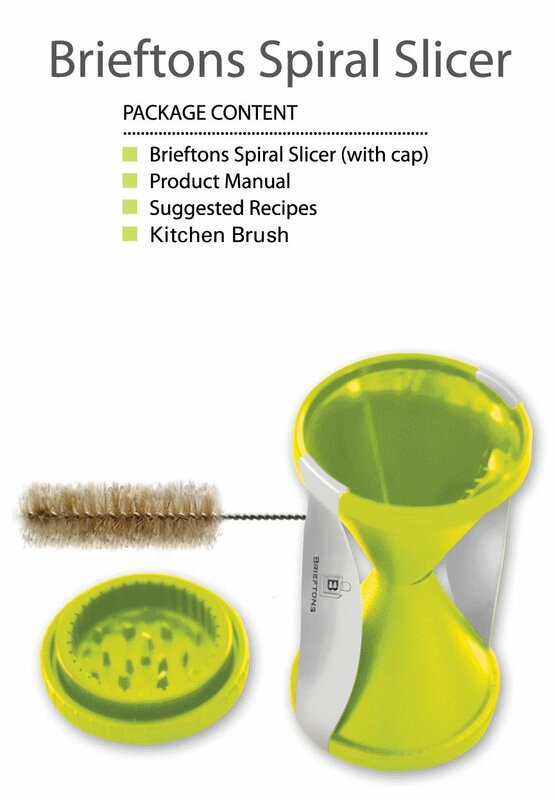 Designed to make raw vegetable "pastas" with ease from carrots, zucchinis and the like, the Brieftons Spiral Slicer is the perfect gadget for raw foodists. From veggie spaghetti, easy stir fry, to fancy garnishes for the sushi plate, this spiral cutter makes it all child's play. It is ideal for making curly strands of firm vegetables, creating garlands of vegetables, making stunning salads and food preparations. 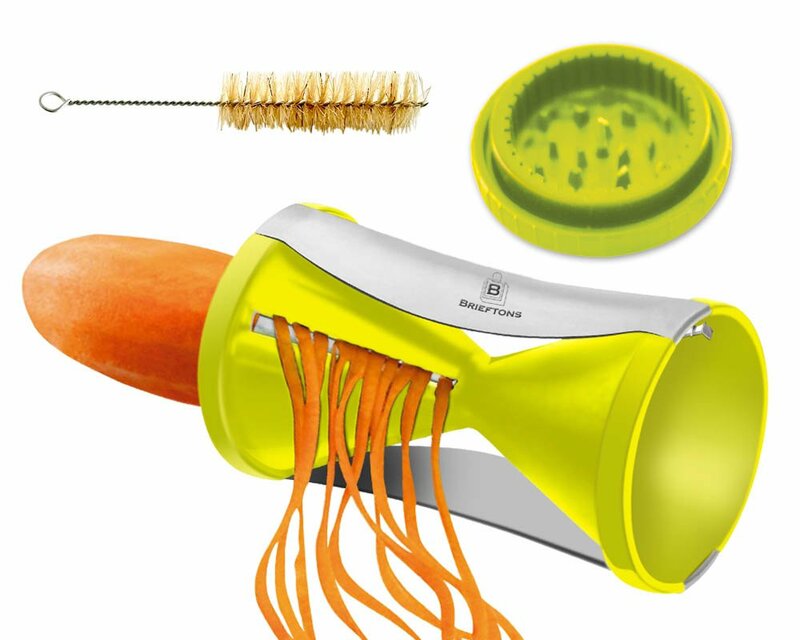 Simply use this vegetable spiralizer like a pencil sharpener.